« Mad Robot Skills – Pop and Lock It! 10 movies that make you want to hit somebody! 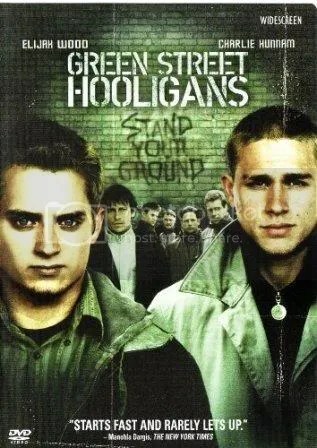 Green Street Hooligans – Elijah Wood’s post Lord of the Rings pet project delves into football culture across the pond. His character, unfairly expelled from Harvard, moves to England to stay with his sister. Thanks to his brother-in-law Pete, Wood discovers the passion for the game and all that comes with it. Lots and lots of good-old-fashioned drunken brawling ensues! 300 – The graphic adaptation of the Frank Miller novel, 300 must be the quintessential testosterone movie! Retelling the Spartans’ improbable Battle of Thermopylae, this movie is about pure and unadulterated violence. Thousands amongst thousands of men, magicians, and exotic beasts fight to the death. Ahh Woo! Gladiator (1992) – If you were thinking about Russell Crowe’s Roman saga, that is NOT the movie we are referring to. This 1992 feature film is the story of 2 teenagers from the mean streets of south side Chicago who are trapped in the gritty, dirty world of underground boxing. One fights to get his father out of danger related to illegal gambling debt. The other fights for the money needed to get out of the ghetto. And in the end, they are pitted against each other for an explosive ending. Easily one of the more underrated movies of our lifetime. Any Given Sunday – Oliver Stone paints a masterful depiction of life in professional football. What really gets me about this film is Al Pacino’s halftime speech for the biggest game of his teams’ year. Adversity, a willingness to fight against impossible odds, and coming to grips with your own limitations – If you’re ever been a competitor, this movie will undoubtedly fire you you up! The Program – Much like ‘Any Given Sunday’ this 1992 film is also about the football world, this time delving into the dirty underbelly of college football. From being expected to make the bowl game to drug & alcohol abuse, this movie lets you see what it’s like for these characters to deal with the adversity of college life. Pressure surrounds them. Competition divides them. Glory unites them. Fight Club – A lonely, remote thirty-something young professional seeks an escape from his ordinary life with the help of an underground fight club. In this club, boxing matches and harmless pranks soon lead to an out-of-control spiral towards oblivion. Based on the novel by Chuck Palahniuk, Fight Club takes the audience into a world that finds discomfort with consumerism and changes in the state of masculinity in American culture, and throws violence around as if it is the problem solver. Equilibrium – Set in a very fascist futuristic world, one guy, played by Christian Bale, turns against the establishment and fights the resistence neo-kung-fu style to overturn the regime. Braveheart – In this period film, you will see lots of blood! Mel Gibson is a Scottish patriot, doesn’t like the authority that rules his land, and takes matters into his own hands as he and his mob of rebels fight back against the English with everything from pitchforks to giant swords! 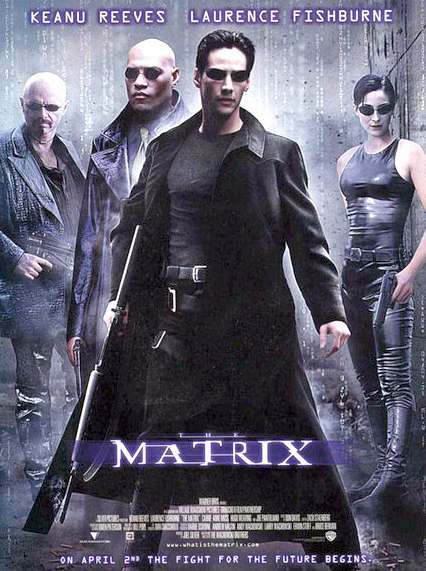 The Matrix – Who doesn’t know about the Matrix… In this futuristic film an ordinary man gets awakened from his 9-5 life of servitude to the reality that the world is not what he thought it was. From then on, “Neo” learns how to fight all from downloaded information directly into his brain. “I know Jujitsu” …. damn Neo, it took me four years to learn a quarter of what you did in ten minutes. This entry was posted on September 5, 2008 at 12:00 pm and is filed under Movies. You can subscribe via RSS 2.0 feed to this post's comments. I’ve seen all of those movies! I’m surprised you saw Flash Point! My favorite out of all of them is probably Equilibrium.